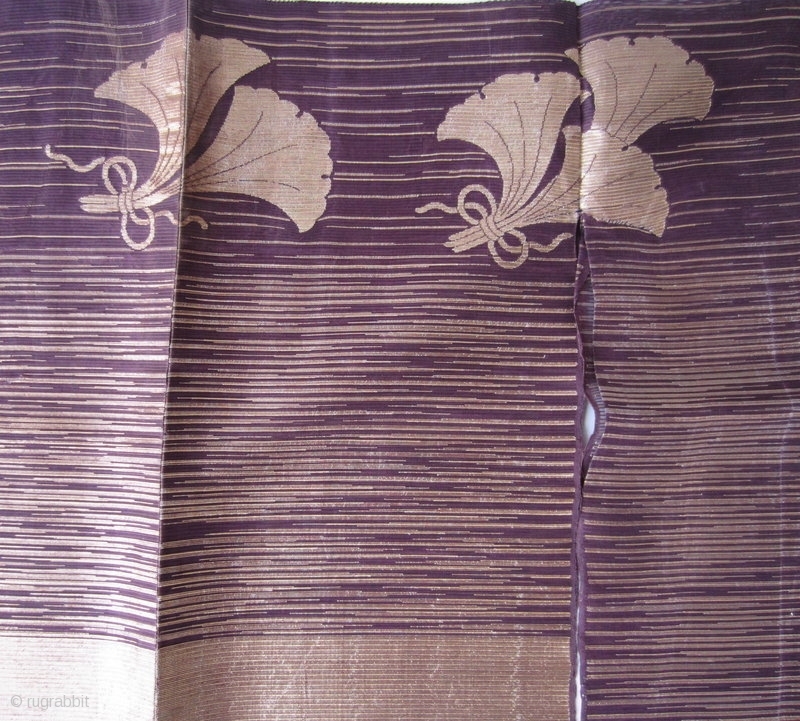 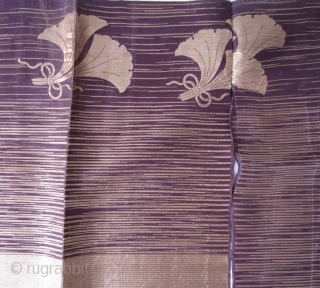 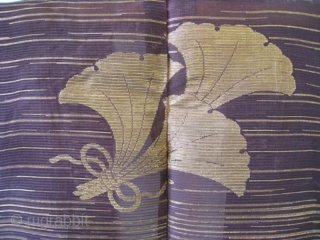 Extraordinary stunning Japanese robe of purple woven asa (hemp), with gold woven through in striations and bold gingko leaf design. 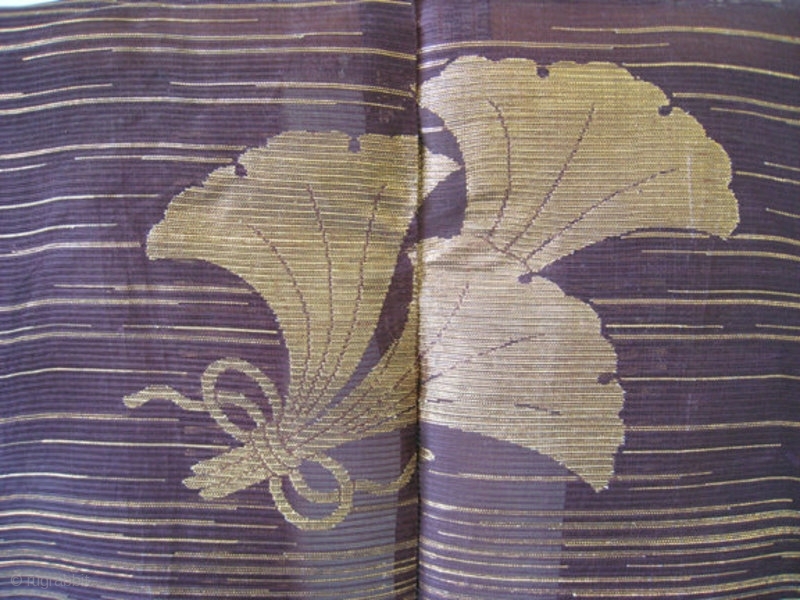 The suou is the traditional kimono once worn during ceremonies by the samurai during the Muromachi period (1392-1573). 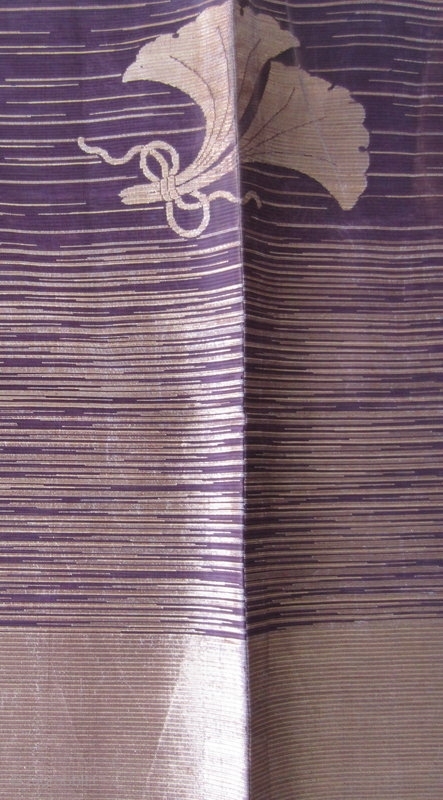 As styles of fashion evolved latter around the 17th century onwards, the suou became in important costume worn by the actors of the noh and kyogen theaters. 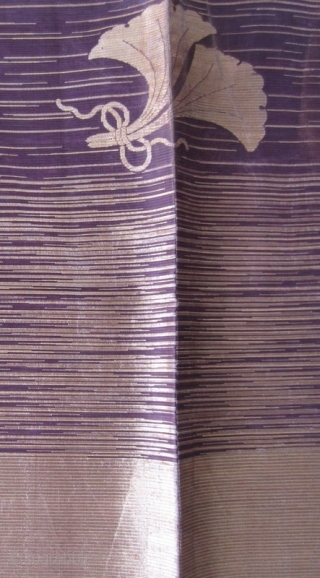 Today the suou is still used in Noh and Kyogen, and with the Shrine maidens.